Manchester United have ruled out any possibility of defender Eric Bailly leaving the club this month. 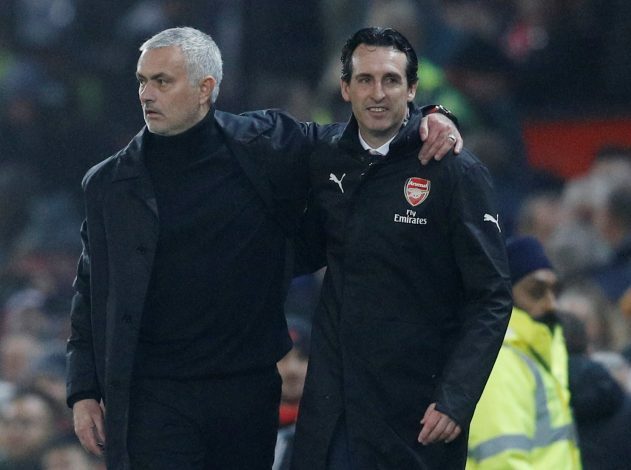 According to reports, United’s long-time rivals Arsenal had enquired about the Ivory Coast international, but the Old Trafford unit rejected the move. The Gunners wanted to sign Bailly on loan until the end of the season with a view to make the deal permanent in the summer of 2019. But United do not want to lose the 24-year-old at this crucial juncture. Moreover, they also do not want their player to join a direct rival. The player had arrived at United in the summer of 2016 under former manager Jose Mourinho, but he hasn’t lived up to his £30 million price tag so far. His injuries and inconsistency have got the better of him. Bailly also has less than 18 months left on his contract. He hasn’t been the first choice under caretaker boss Ole Gunnar Solskjaer. One will get a clearer picture regarding the centre-back’s future at Old Trafford come summer. The club has the option of extending his contract for another two years, but United do not want to press the button too soon. United are being linked with several summer moves for defenders, and one would expect some new faces arriving. Also, the futures of certain players are uncertain, with Marcos Rojo, Matteo Darmian, and Antonio Valencia likely to be shipped out. Bailly, who returned from a three-match suspension recently, will be keen to show his prowess on the field, when he gets an opportunity. But as of now, his future at the club remains far from certain.